Despite the endless tools of communication at humanity’s disposal, it’s hard enough for the average person to get their point across on Facebook much less world leaders trying to understand each other at the United Nations. Communication is messy. Even as I write this I’m assuming you’ll read the words exactly as I intended rather than something else, but the truth is some will interpret it differently than others. Arrival, directed by Denis Villeneuve, is all about communication and how we interpret and understand information — and Arrival is wrapped in such a beautiful story with wonderful acting and masterful direction that you won’t even think twice about it. 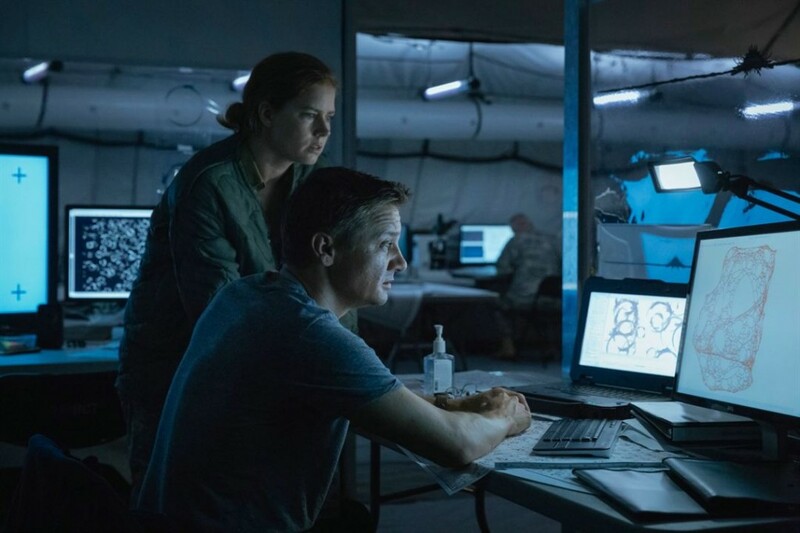 Written by Eric Heisserer, Arrival follows Dr. Louise Banks (Amy Adams), a linguist recruited by the United States military to help them interpret communications by aliens who appeared from thin air in oblong, black structures on different points around the world. She must race to learn their language before talks break down among world leaders and global war breaks out. 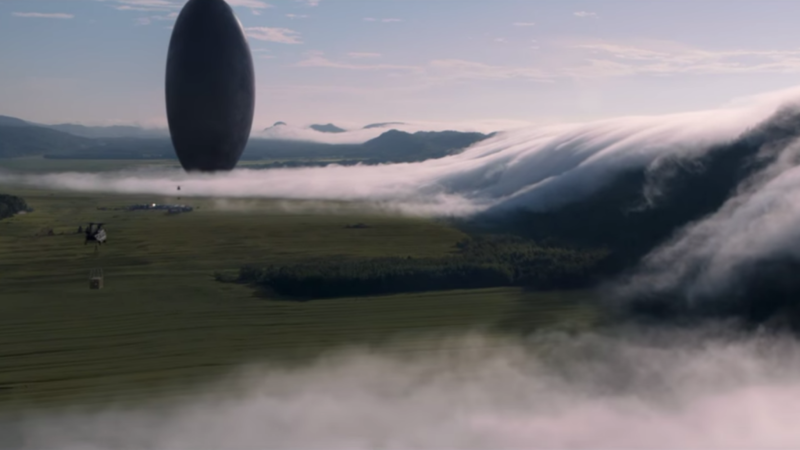 If I dare use a baseball metaphor, Villeneuve is currently 4-0 with the new addition of Arrival knocking it out of the park. He draws you in with the first shot, compelling you to step in closer and closer, and before long you’re already invested and want to stay on the ride for as long as possible. The tension and mystery build over time, but as the mystery is revealed the tension only becomes more palpable. The pacing helps, providing a taut and concise experience without anything dragging for too long. Just as things get interesting, Villeneuve pulls you out of the moment and makes you wait a little longer. It’s refreshing that he doesn’t recycle old tricks, but comes up with fresh ways to tell the story. The gripping story, however, is all thanks to screenwriter and producer Eric Heisserer and his adaptation of Story of Your Life by Ted Chiang. The science fiction is thick and not watery like you might find from lesser work. The heavy research into deep concepts like linguistic relativity help make the story more authentic as if you’re watching something that actually happened. For some, the idea of aliens arriving on earth and humanity racing to understand what is happening might induce an eye roll and a groan, wishing science fiction movies could come up with another story arch. It’s easy to write off Arrival as another first contact type movie without any substance, but this film is quite the contrary. It provides the perfect example of how to do a first contact Sci-fi right, avoiding all the tropes and digging even deeper into concepts that rarely get screen time. It’s simplicity and sense of humanity make it shine all the brighter. On top of all that, Louise Banks is a strong lead character — Adams portrays a well-written, three dimensional character with a troubled past which drives her to find redemption through the aliens she’s speaking with. She’s constantly at odds with almost everyone around her, but is always able to overcome her obstacles through her wit and intelligence, a breath of fresh air from the usual cliches. The relationship between her and Ian Donnelly (Jeremy Renner) progresses organically and there’s no relationship pressure or sense of urgency to get to certain ends because of narrative demands. Donnelly isn’t a fully formed character at all, but at the same time he isn’t meant to be the focus. It’s made clear from the beginning the focus is Louise. Amy Adams gives quite the performance, having more of a subdued and quiet role in comparison to her past roles, but at the same time that isn’t to say she’s flat or boring. She shows the passion Banks has for language and the desire to build bridges rather than allowing people to tear each other apart through misunderstanding. Her ability to subtly emote during the more surreal scenes is especially impressive and overall she provides a strong lead you can both root for and empathize with. 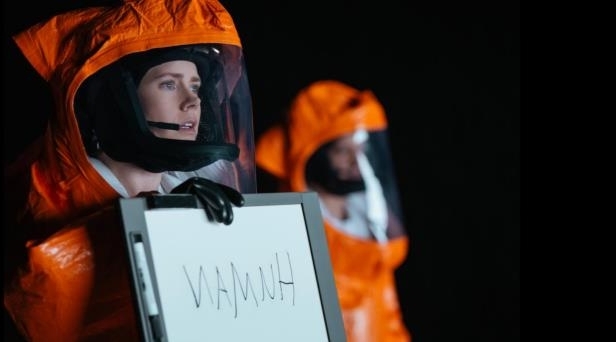 The beauty of Arrival is that it uses a familiar concept that we might find out of a 1950s science fiction film or novel (aliens coming to visit us), but simplifies it into a singular goal for a linguist to simply understand the visitors. And though that may sound boring, Villeneuve and Heisserer make it a tense and fascinating experience. The subtext is so rich and poignant at this period in history (2016 election divide), you’d almost wonder if the creators could see the future — it’s such a well crafted story in almost every way that it’s hard to find a flaw or a reason not to go see it.